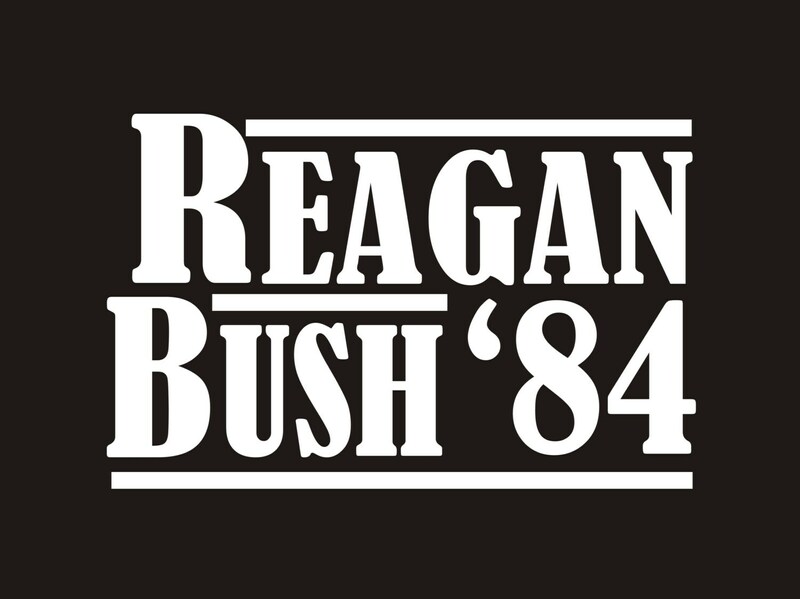 Vintage Reagan/Bush '84 decal- 1984 Presidential Election vinyl decal. 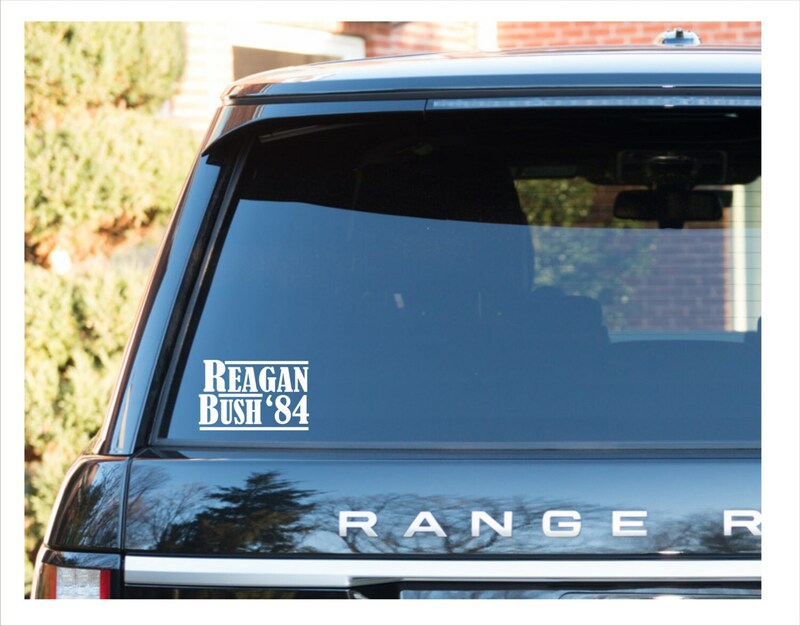 In a time where most of us hold our nose when pulling the trigger on a political choice, this decal is a great visual to remember a better time or maybe a time when we as a Nation were not so divided. 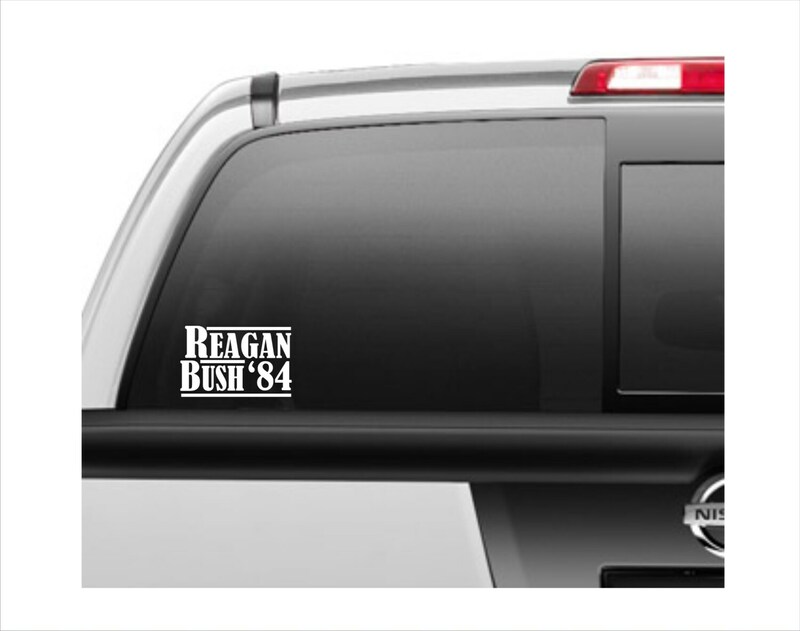 You'll plenty of remarks and looks with this throw-back Presidential decal. We use only high-quality outdoor vinyl. Easy to apply. Water and weather resistant. Application instructions will be included. These vinyl decals will adhere to any clean, smooth surface; car, truck, boat, RV, laptop, etc. *ALL of our customers get a FREE surprise gift as a "THANK YOU"!